ou’re up to, you can try it by hand but it will take a lot more time. 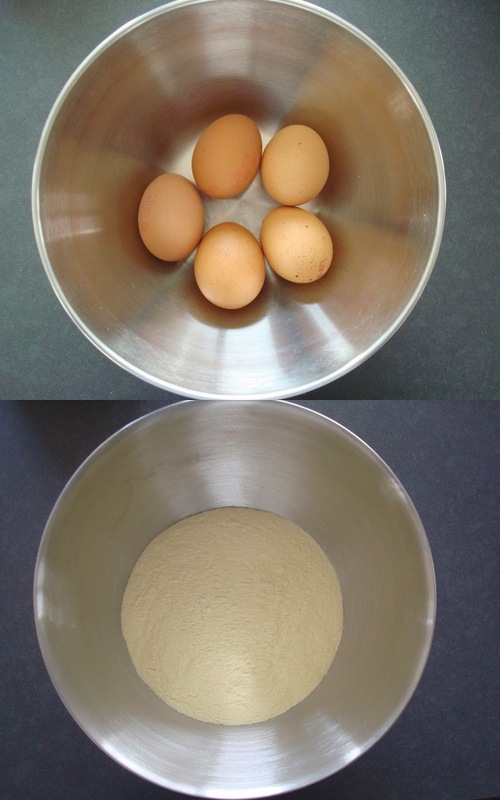 So I put all the above ingredients in the mixer bowl and start to mix it at a low speed and work it up to a low-medium speed. When all is mixed properly you put the dough in clingfilm and leave it in the fridge for about 30 min. When it has rested you take it out of the fridge and work it through your pasta machine. It’s best you start with small portions of your mixture. Your machine won’t be able to process it all at once. So you take a piece of dough and you start at the biggest number on your machine. You repeat this with all of your dough. Don’t forget to sprinkle them with flour or else they’ll dry out. Now you need to repeat this with a lower stand on your pasta machine. I usually do first 9, then 6 and then 3. 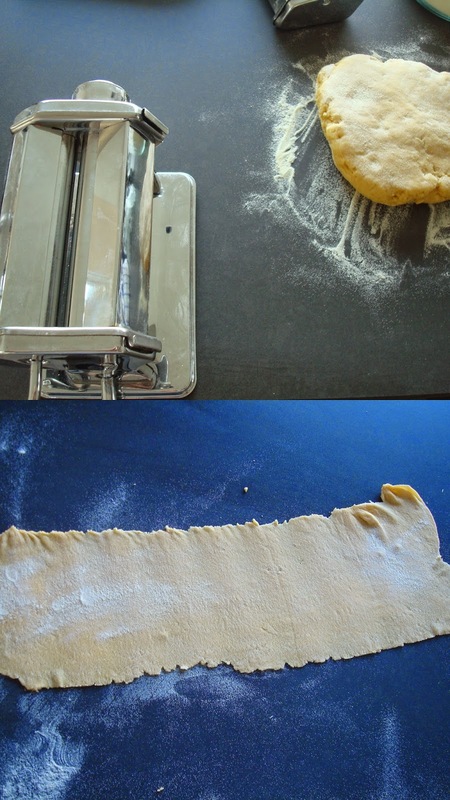 If you’ve reached the correct thickness of your dough, you’ll need to cut them in smaller squares so they can be boiled in water. Now take a big pot and fill it with water and a pinch of salt, and bring it to a boil. Once the water is boiling you can put your pasta in it, i do it one square at a time so they don’t get stuck together. I’d suggest to boil the pasta for about a minute. Once boiled you put your slices to dry on a big tablecloth or several towels. Put your butter in a pot and put it on a small heat. When the butter is melted you can put your flour in it. Try not to trow all of it in at once. This way you avoid cloths. Don’t forget to keep stirring during the whole process. Now it’s time to add your milk, also try not to pour it in all at once. The bechamel needs to be thick but you still need to be able to stir in it. At the end you put in your Parmesan cheese and stir until it’s all melted away in your sauce. And now the moment we’ve all been waiting for… how to assemble the lasagna. You start with a big oven platter and start by putting some of the tomato sauce we made a previous post. Now fill with a layer of pasta. Make sure you cover the whole bottom of your platter. Again put some tomato sauce on the pasta but now you also put some bechamel sauce on it (not to much, just a few drops). Repeat this untill you’ve reached the top of your platter. 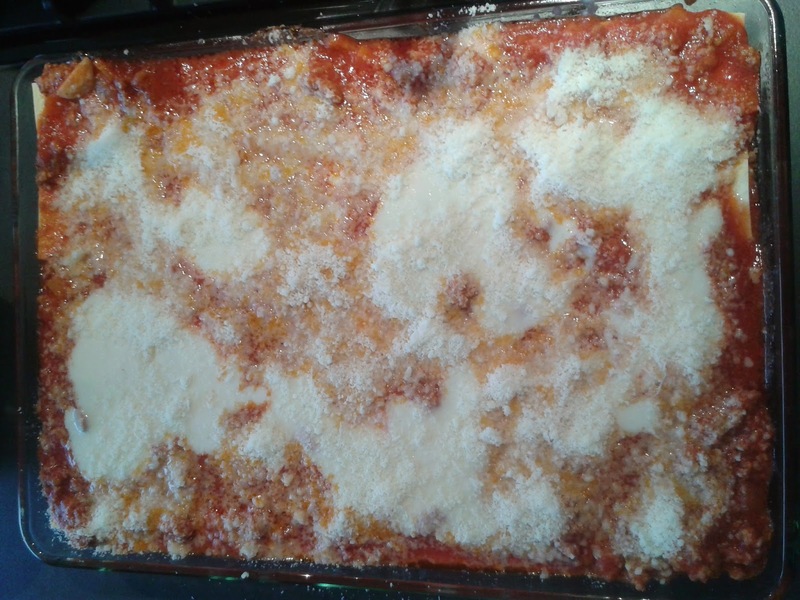 Put the last layer of tomato sauce and bechamel sauce on it and sprinkle the whole platter with grounded Parmesan cheese. Put the platter in a preheated oven of 180°C (356°F) for about 35-40 minutes. 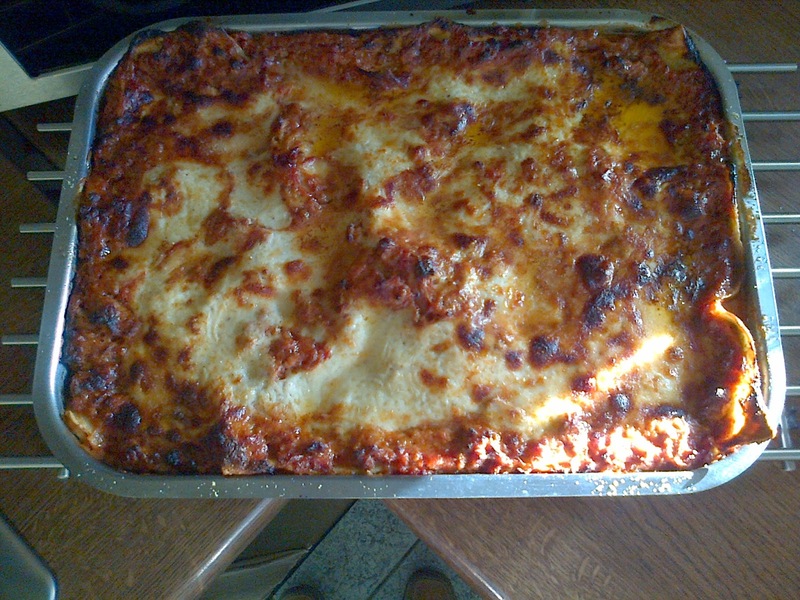 Take it out of the oven and leave it to rest for about 10-15 minutes and enjoy your homemade lasagna!